I trust that God may raise up for us preachers of a different type; I trust that those preachers may not only build upon the one foundation which is Jesus Christ, but may build upon that foundation not wood, hay, stubble, but gold, silver, precious stones. Do you, if you are preachers or teachers in the Church, want to be saved merely so as through fire, or do you want your work to endure in the day of Jesus Christ? There is one work at least which I think we may hold, in all humility, to be sure to stand the test of judgment fire; it is the humble impartation, Sunday by Sunday, or day by day, of a solid knowledge not of what you say or what any man has said, but of what God has told us in His Word. Is that work too lowly; is it too restricted to fire the ambition of our souls? Nay, my friends, a hundred lifetimes would not begin to explore the riches of what the Scriptures contain. Some years ago, when I was still at Princeton Theological Seminary, before the reorganization of that institution, we received one of the countless questionnaires which in America have become, with one’s neighbour’s radio, one of the nuisances of modern life. The man who sent out the questionnaire was threatening, I believe, to write a book on theological education; and afterwards he carried out his threat. The questionnaire begged the question as many questionnaires do; it was not, if I remember rightly, in the slightest interested in the question whether a high scholarly standard was maintained in the study of the Bible; it did not seem to be much interested in discovering whether the students were or were not required to know the languages in which the Bible is written: but there were all sorts of questions about courses in hygiene and the like. In short, one prominent purpose of sending us the questionnaire seemed to be that of discovering whether Princeton Theological Seminary was or was not a medical school. 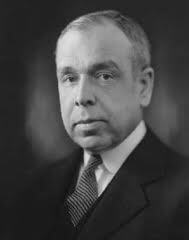 This post is the fourteenth of a series of excerpts from chapter 2 of J. Gresham Machen’s book Education, Christianity & the State , “The Importance of Christian Scholarship.” This chapter is a compilation of addresses given at the Bible League meetings in Westminster, London, on June 17, 1932. Page references are from the 1987 Trinity Foundation edition of this book.